Jyoti Solapurkar (71), for a lady her age, exhibits a rare penchant and flair for the language. 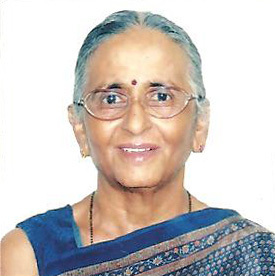 She has been associated with Jyotsna Prakashan right from her first book, ‘The Naughty Boys’, published in 1993. Jyoti’s books are primarily for kids aged 7 – 12 and she has over 4 titles to her credit. In addition, Jyoti has also 12 translated works from Marathi to English. Her latest novel, ‘Pasha’, provides her young audience with yet another delightful read!